Variety. 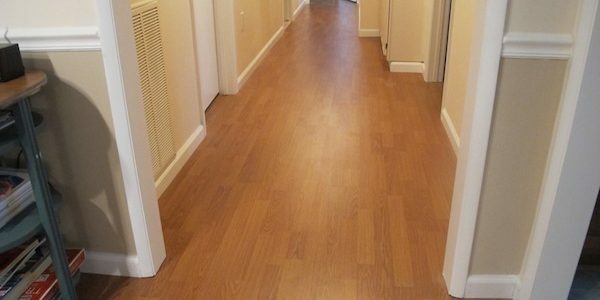 Laminate flooring comes in a huge variety of styles, ranging from hardwood to ceramic to natural stone and tile. Modern laminate flooring is also available in a range of textures and glosses. These additional options add to laminate’s diverse aesthetics. Durability. Modern laminate is resistant to water, spills and heavy foot traffic, which keeps it looking great for longer. Scratches are less of an issue with modern laminate as well. 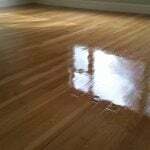 The construction of laminate makes it resistant to damage that would affect hardwood flooring. Cost. 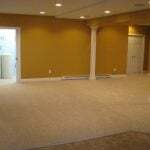 The material and installation costs of laminate are much more affordable than those of hardwood. Laminate flooring options come in a variety of designs, including convincing imitations of sought-after materials like marble and walnut. Reinforced laminate was introduced to the market in the 80s beginning in Sweden and then to the rest of Europe. 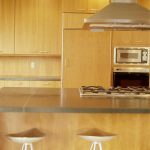 The development of reinforced laminate quickly took hold and it wasn’t long before laminate products were more than twenty times as strong as the original decorative laminate. Pergo was out front in leading the research and development of the new laminate flooring and soon the company and its new product took off. Pergo flooring came to the US in 1994 and has been among the leading suppliers of laminate flooring ever since. 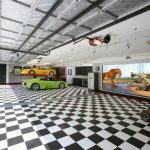 Need to find a pro for your laminate floor? One of the main advantages of Pergo flooring is the endless options it gives you for your flooring project. 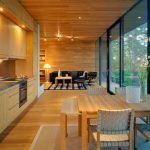 While only certain natural woods are up to the wear and tear of residential flooring, Pergo can offer any number of wood appearances and finishes to match your decorating tastes. 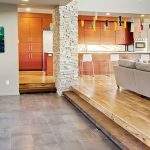 Different tiling or planking options and the exact laminate flooring product you choose will affect the price of the flooring, but this variance isn’t nearly as cost-prohibitive as exotic wood installations. 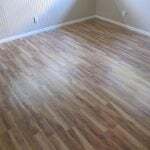 Low-end laminate flooring will usually cost just over $1 per sq. ft. and can range up to $4 per sq. ft. for more high-end options. 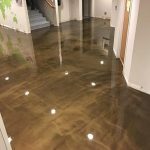 The tongue and groove method makes the installation of Pergo flooring significantly easier and also greatly reduces the cost of your flooring project. Similar to paneling or fencing installations the general installation technique is not difficult to learn. 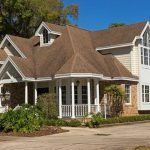 Many homeowners with basic DIY skills can install their own flooring, although edges, end moldings, and sawing can also mean leaving the installation to a professional will guarantee a flawless, beautiful installation.